DDD has just released an update to their TriDef 3D software after a bit more than 3 months with no updates. 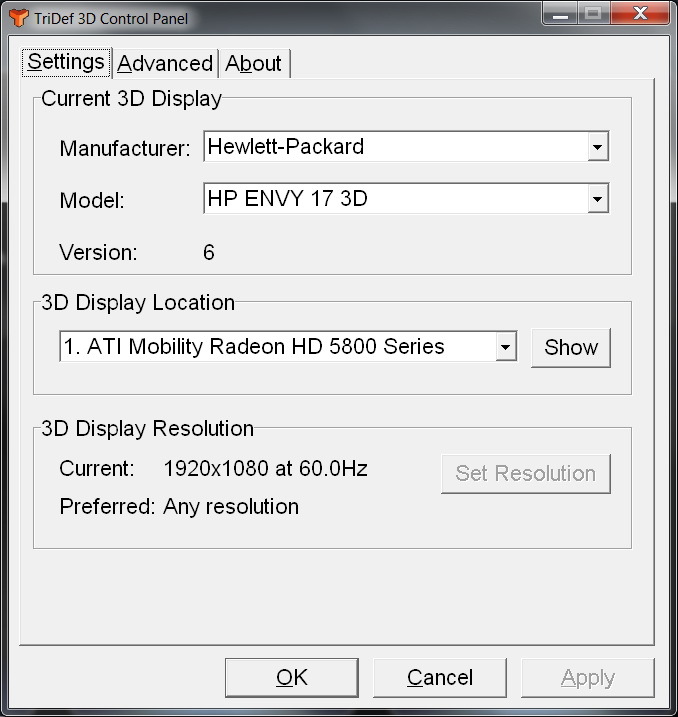 The other AMD HD3D partner – iZ3D, should’ve also had a new beta available (“before the end of March”), however there is still nothing new and they haven’t released updates for more than 5 months already, but hopefully they will soon have something new too. Getting back to the new TriDef 3D software version 4.5, it apparently now supports over 460 games (430 DDD game profiles and 30+ user submitted profiles) or about 40 new profiles since the previous version 4.4. Among the new game profiles added are Dragon Age II, Men of War Assault Squad, Bulletstorm, Assasin’s Creed Brotherhood, Lineage 2, Need for Speed Hot Pursuit, Tron Evolution, and apparently a lot of Chinese and Korean MMO games. There are also several game profile improvements relating to auto-focus, Virtual3D, scan rules, icons, performance and crashes. (for games such as Metro 2033, Starcraft II, Prince of Persia the Forgotten sands, Aion etc…). DDD is promising significantly improved cursor and window handling on some systems and games as well as improved the user friendliness of several error messages. There is also a hot-key added to Toggle Virtual 3D On/Off – Alt+Shift+V. This all goes for the TriDef 3D Ignition and apparently there is nothing new fixed or improved in the TriDef 3D Media Player. What good is this software if it does not provide eye sync signals via hardware output port?